We find this image to be really useful. 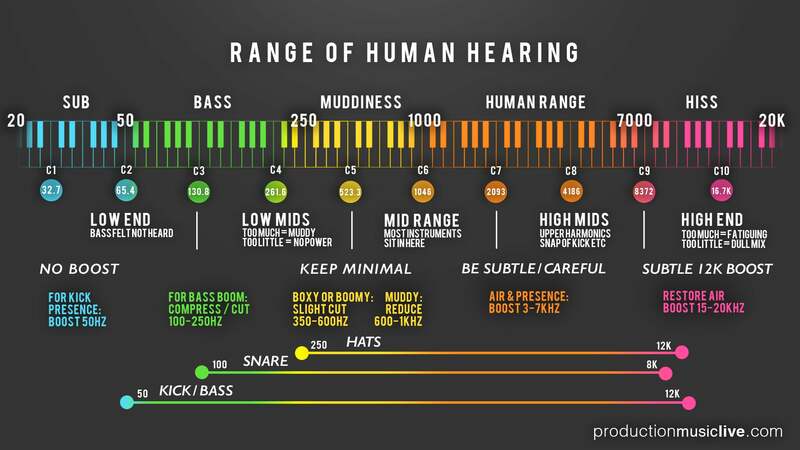 It's an infographic showing you what is where in the audio spectrum and providing a lot of useful hints on how to eq the different elements in your mix. Advice: print it out and put it up on your wall!